Jim Wilson is an American singer/songwriter/guitarist best known for his work with his own L.A. bands, Motor Sister and Mother Superior. Wilson is releasing his second solo album entitled “Now Playing”. The album is produced by producer/drummer Phil Jones, known for his work with Tom Petty (“Full Moon Fever”), Waddy Wachtel’s All Star Band and Roy Orbison. The new album features 10 new songs written by Wilson and features special guest contributions from Mike Campbell (Tom Petty & The Heartbreakers/Fleetwood Mac), Marc Ford (The Black Crowes/Magpie Salute), Spooner Oldham (Bob Dylan/Neil Young) and Fred Mandel (Elton John/Queen/Alice Cooper). •"Now Playing" features a variety of sounds that show the versatility in Wilson's songwriting and vocal abilities. Rockers like "Honeysuckle" and "No Heroes Anymore" fit perfectly alongside soulful and dark funk tracks like "Disillusion" and "I Can't Hear You". 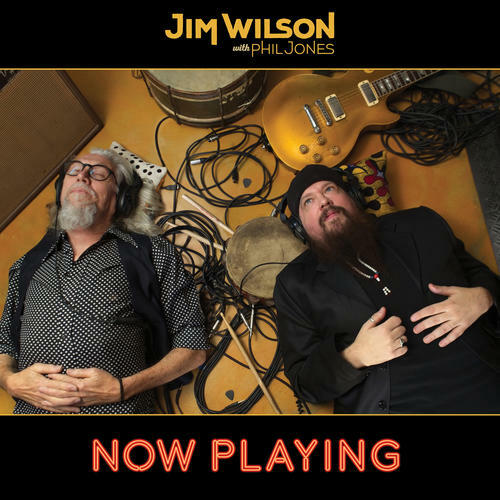 •Known for his soulful vocals and guitar work, Jim Wilson released his debut solo album in 2012 after releasing 10 albums with Mother Superior, who were also known as the backing band for Henry Wilson. Wilson is also currently the lead singer/guitarist for the supergroup, Motor Sister, featuring Scott Ian from Anthrax, John Tempesta from The Cult on drums and Joey Vera from Armored Saint on bass. •As a songwriter, Wilson has written songs for Henry Rollins, Alice Cooper, Meat Loaf and others including Pearl, who is releasing a new album this year with all songs co-written by Wilson. He is currently writing songs for an upcoming album by Rolling Stones' background vocalist, Bernard Fowler.